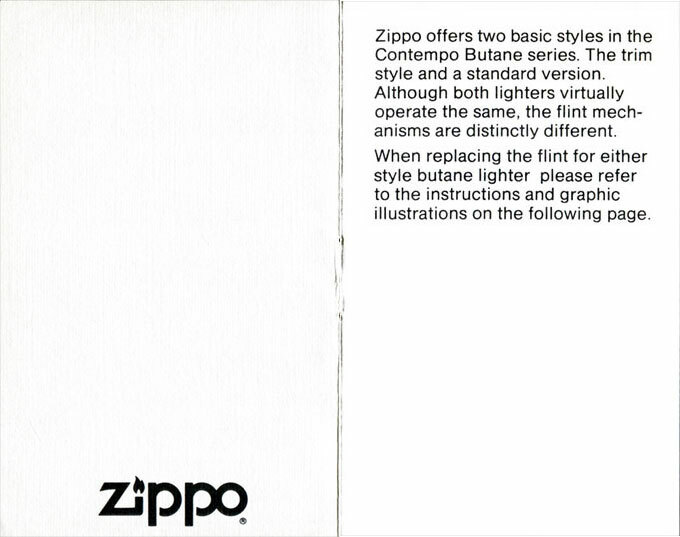 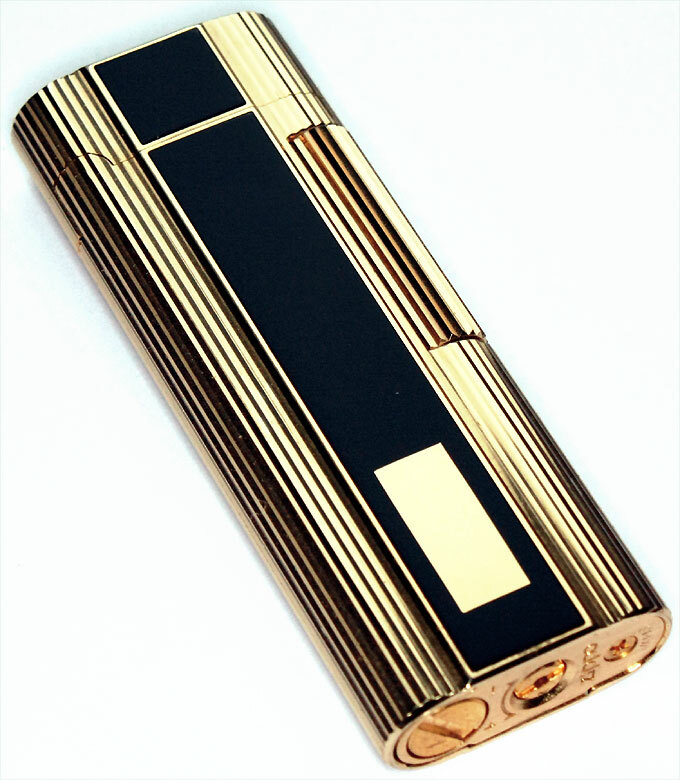 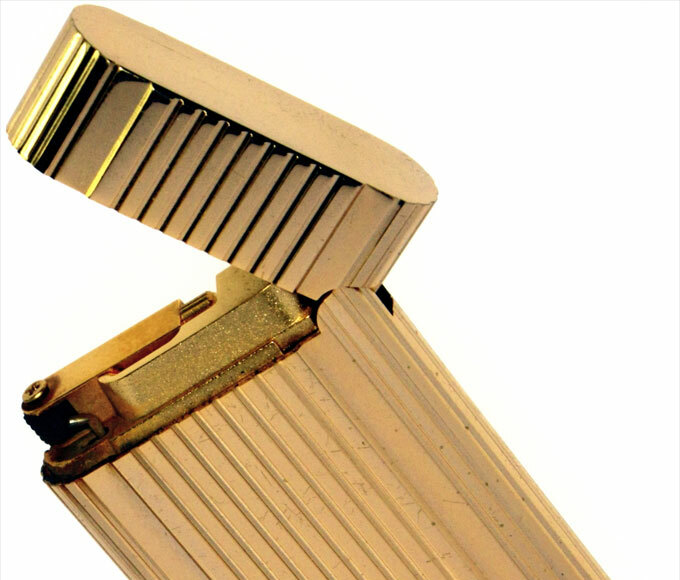 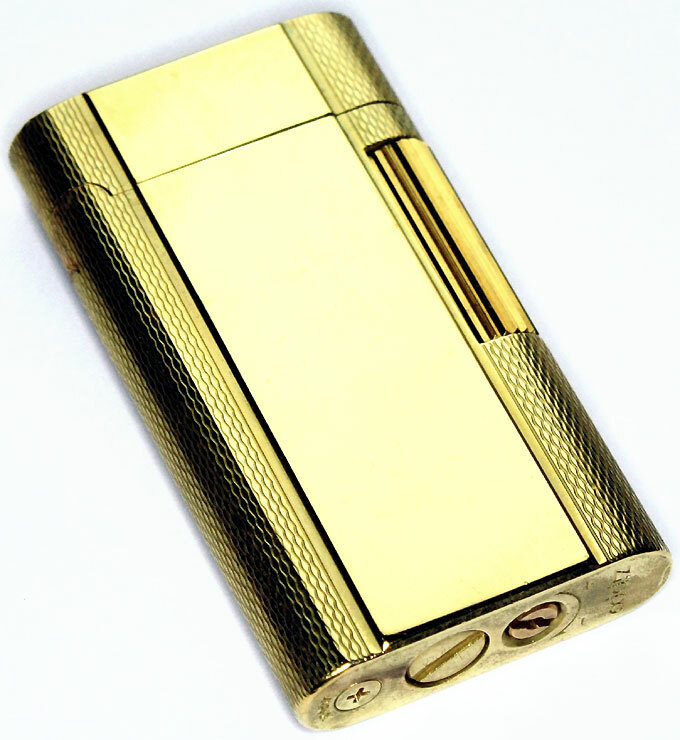 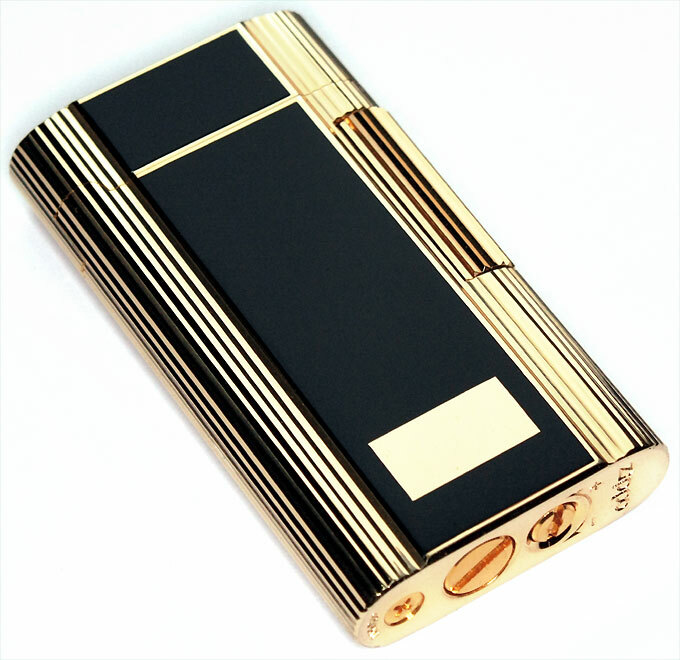 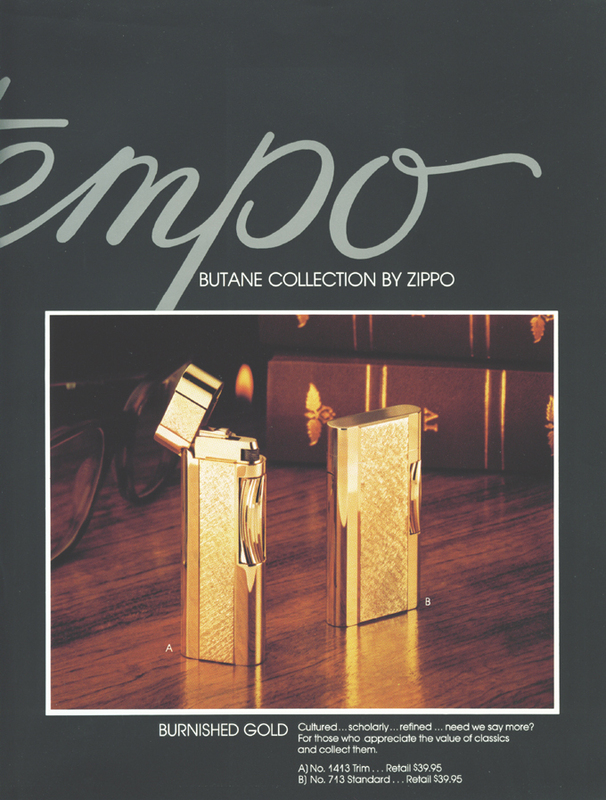 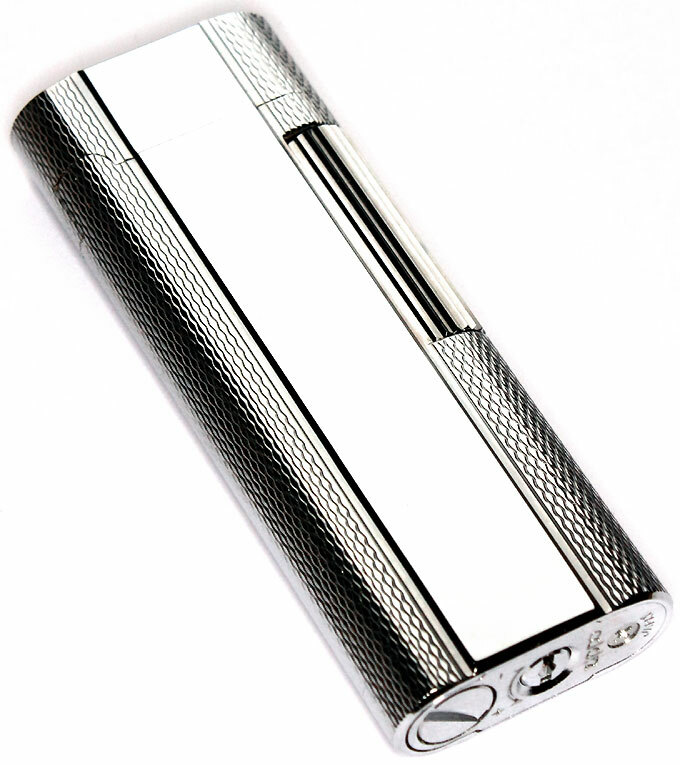 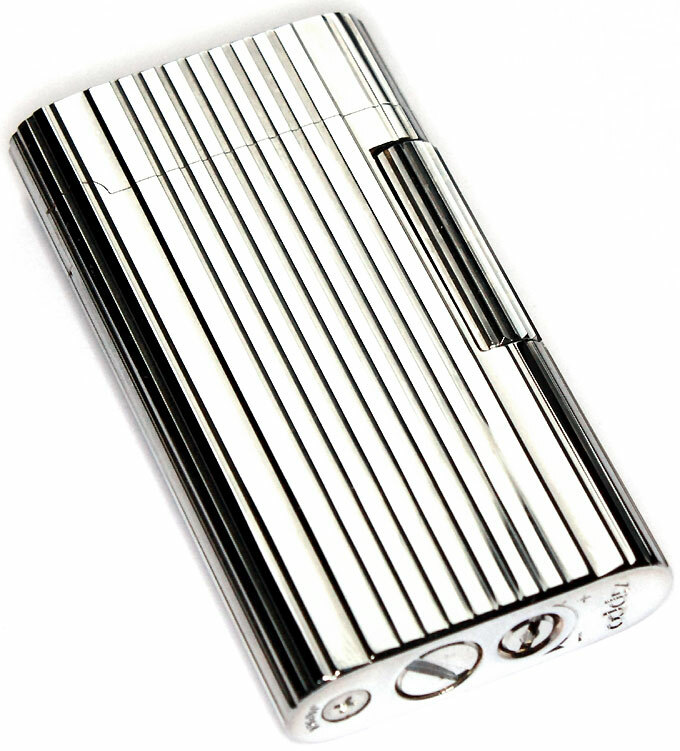 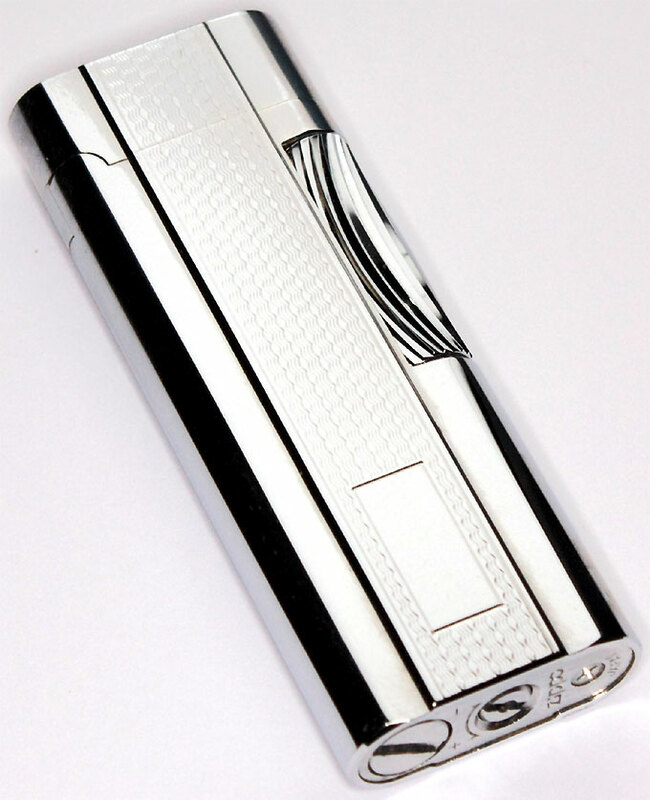 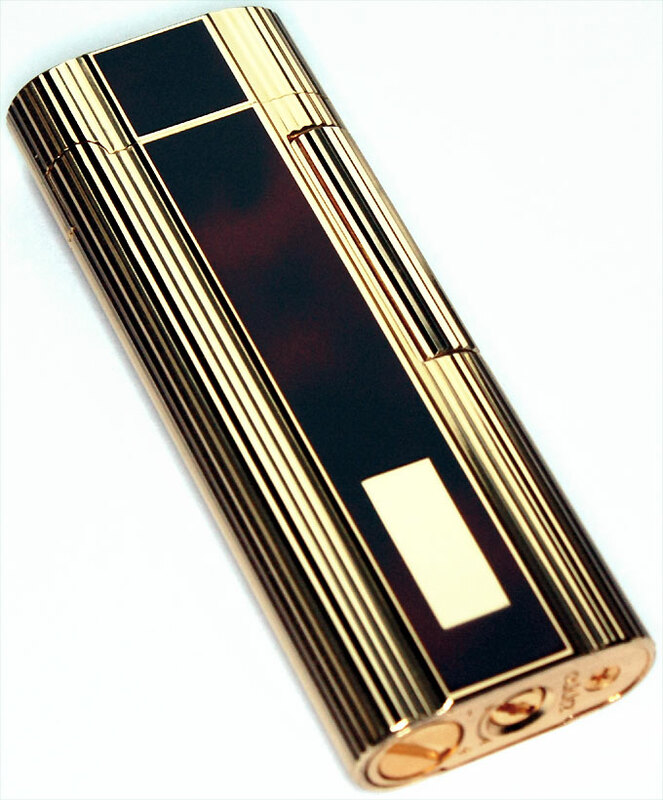 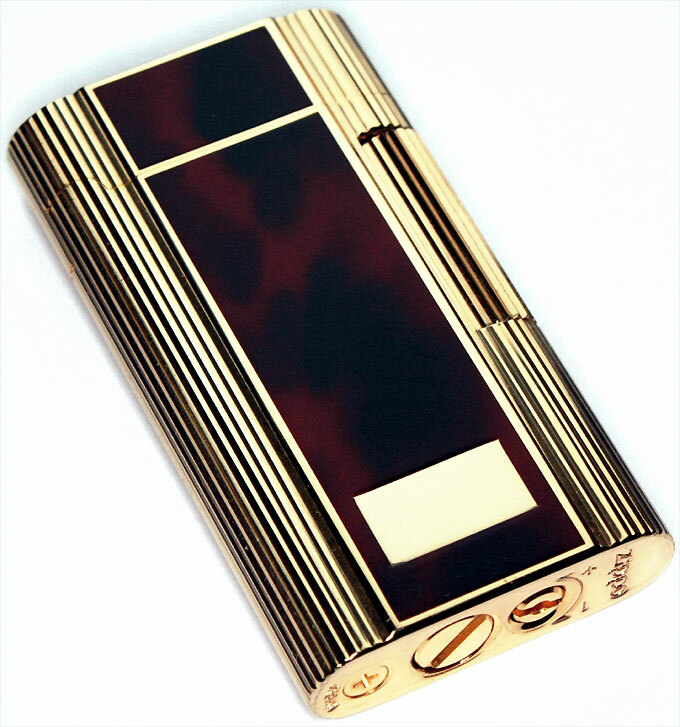 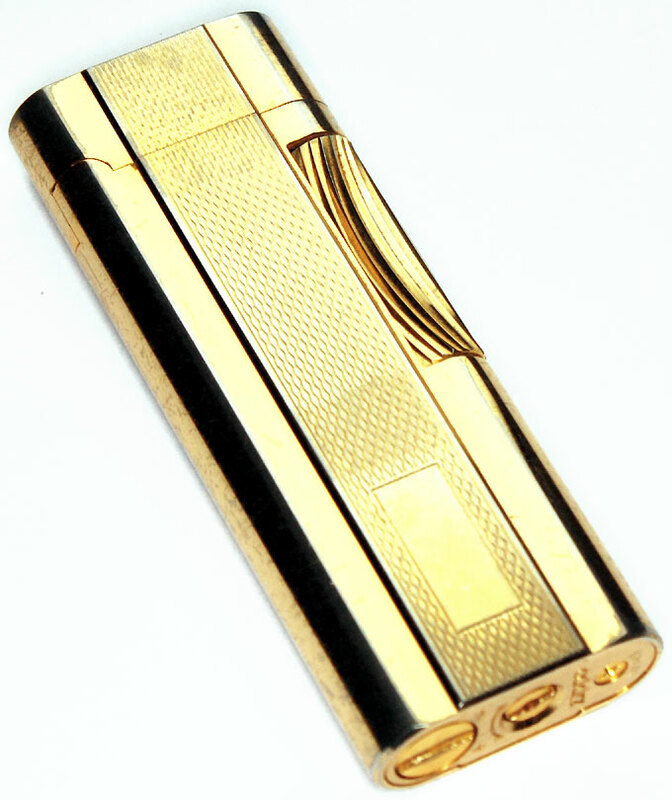 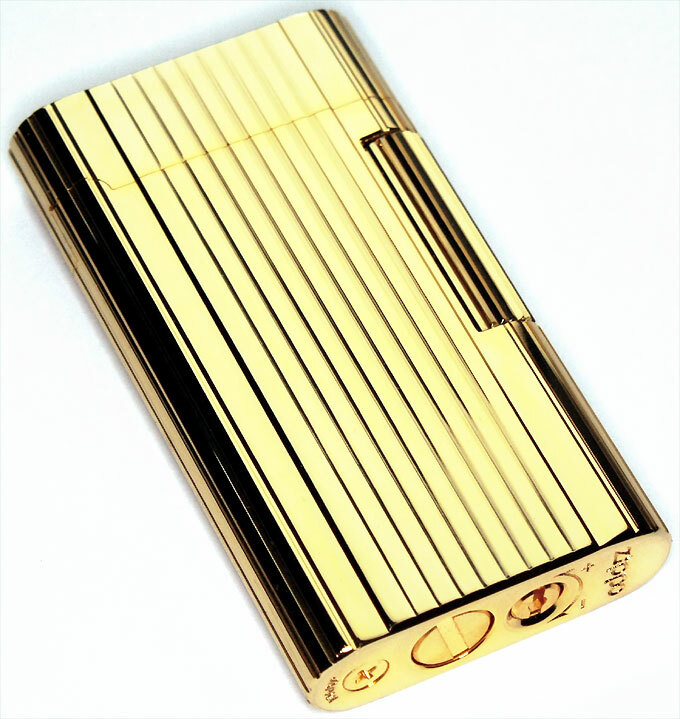 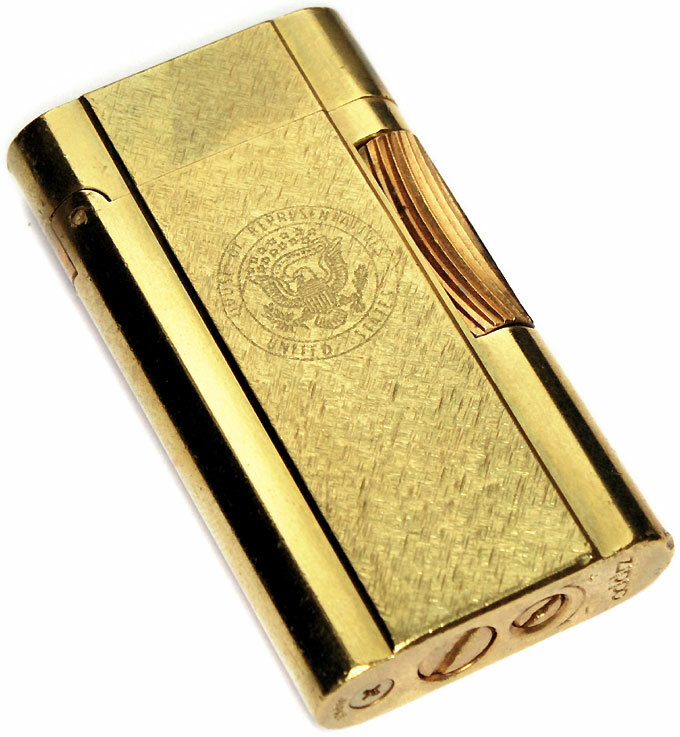 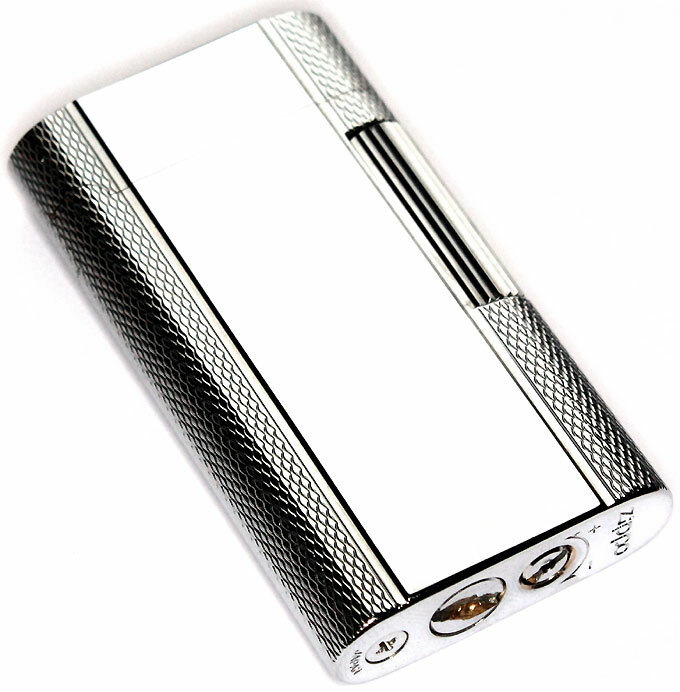 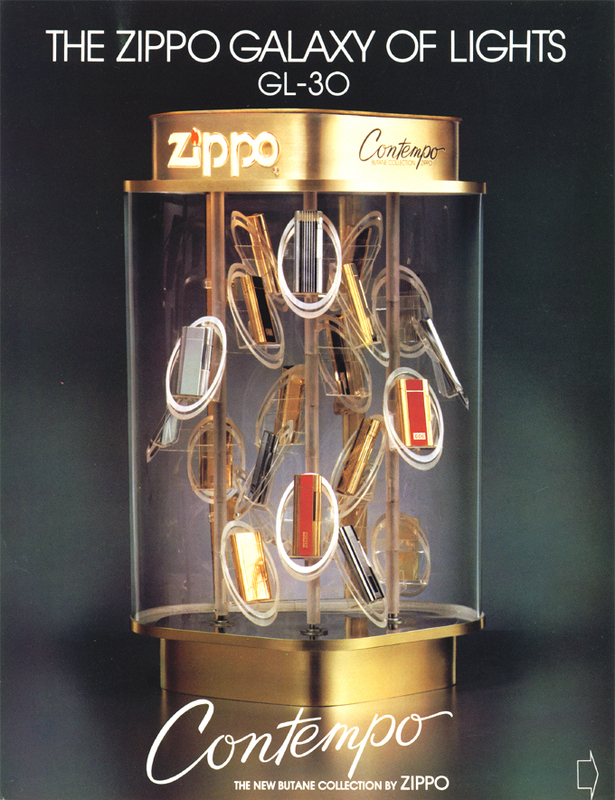 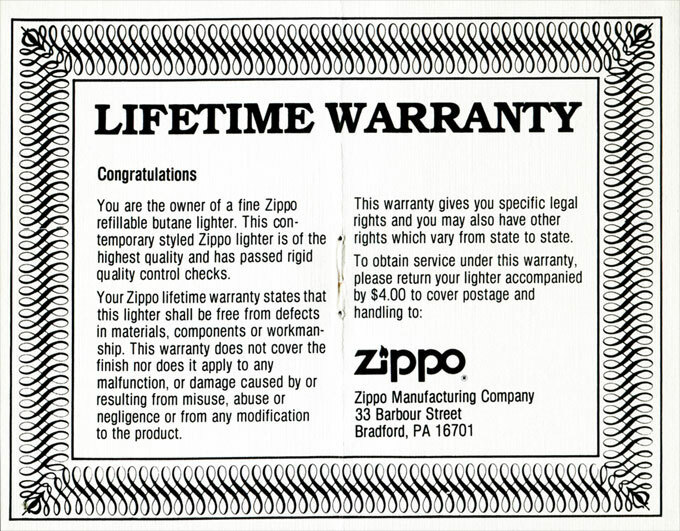 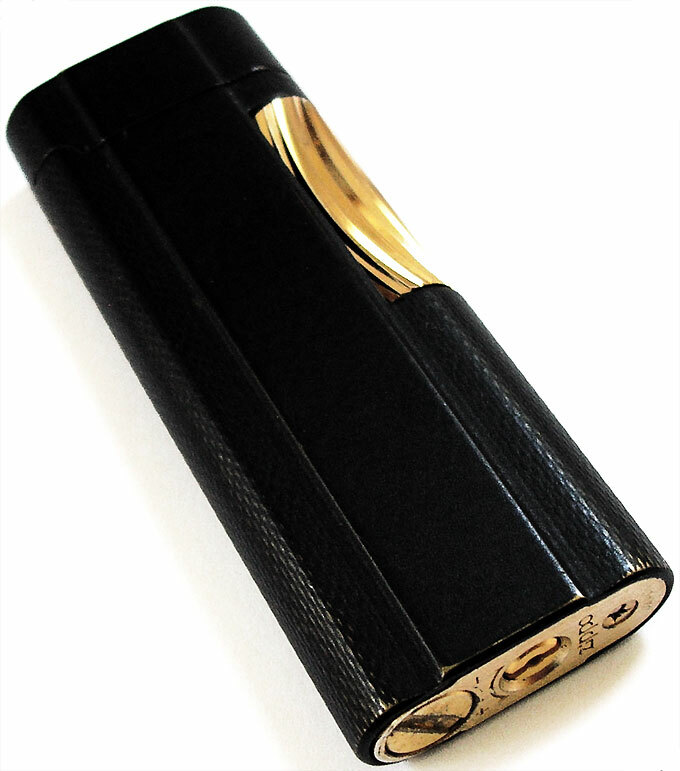 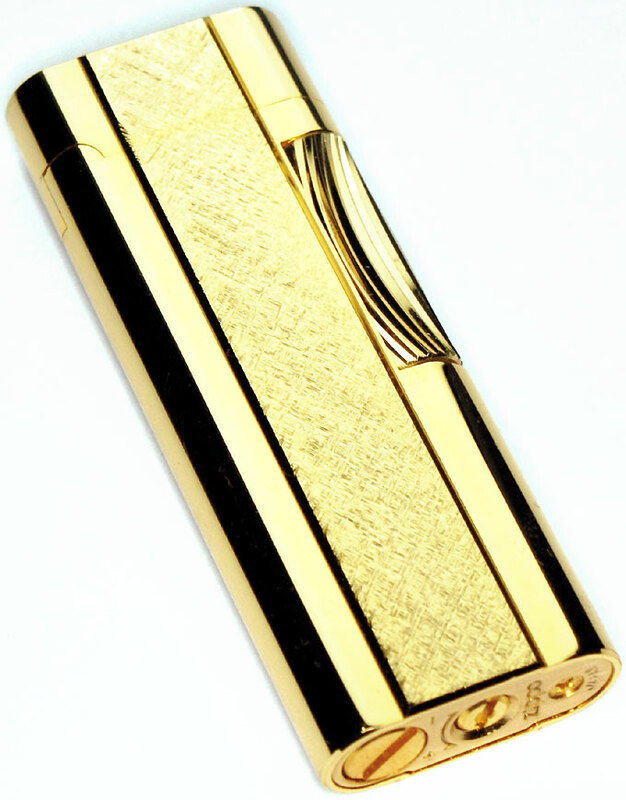 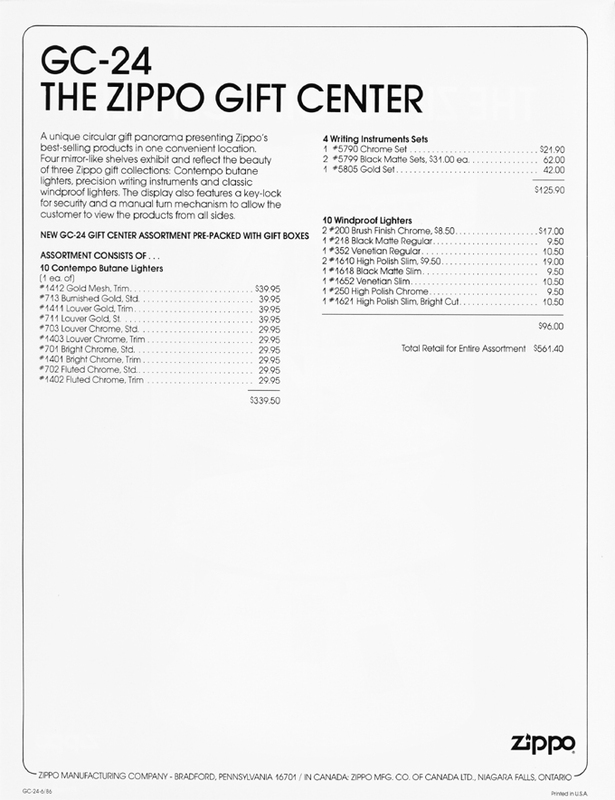 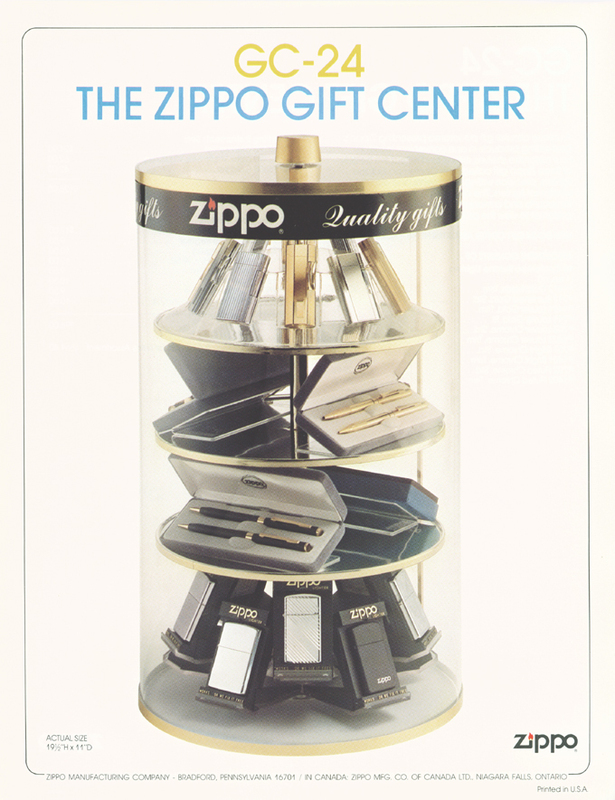 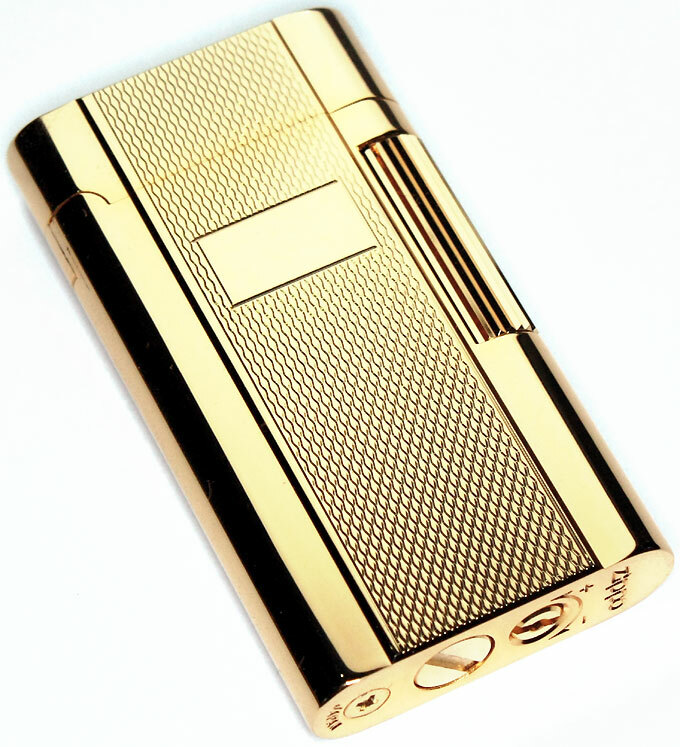 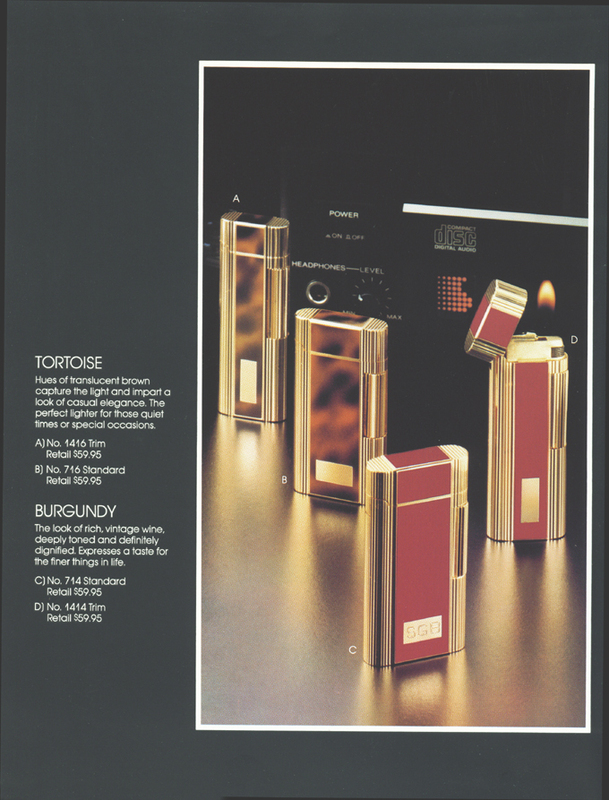 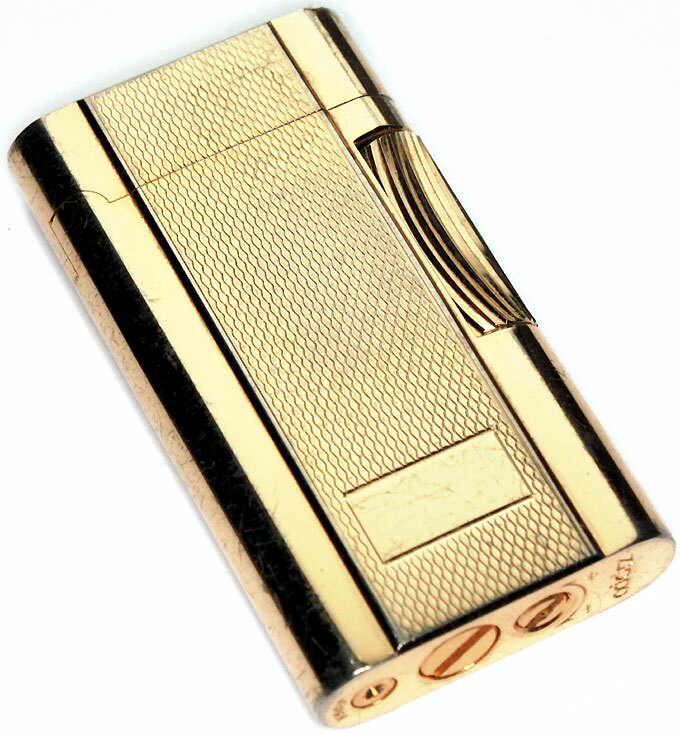 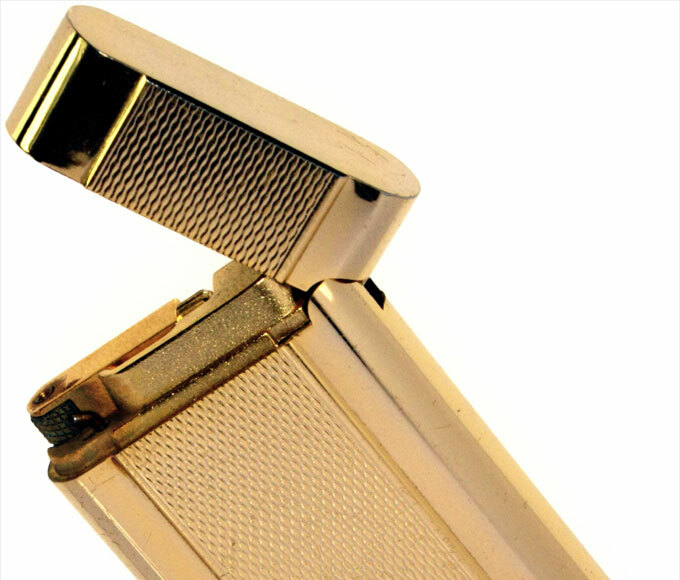 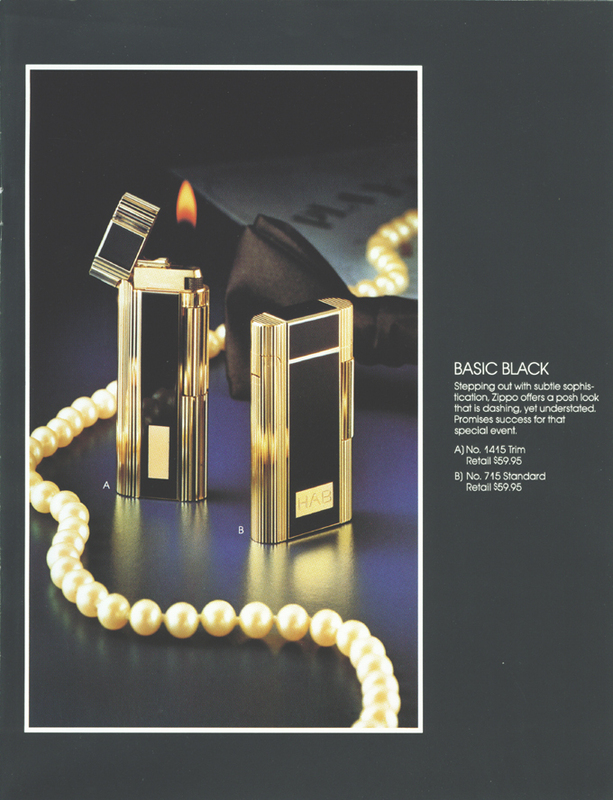 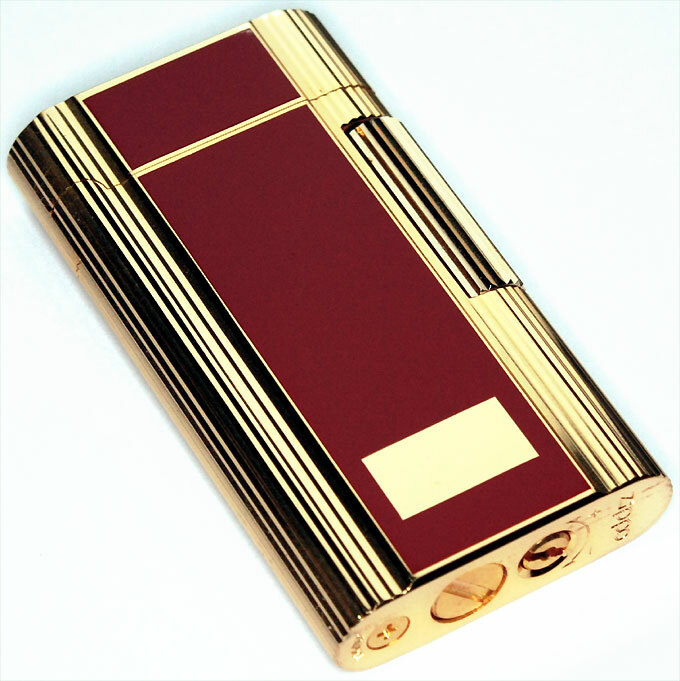 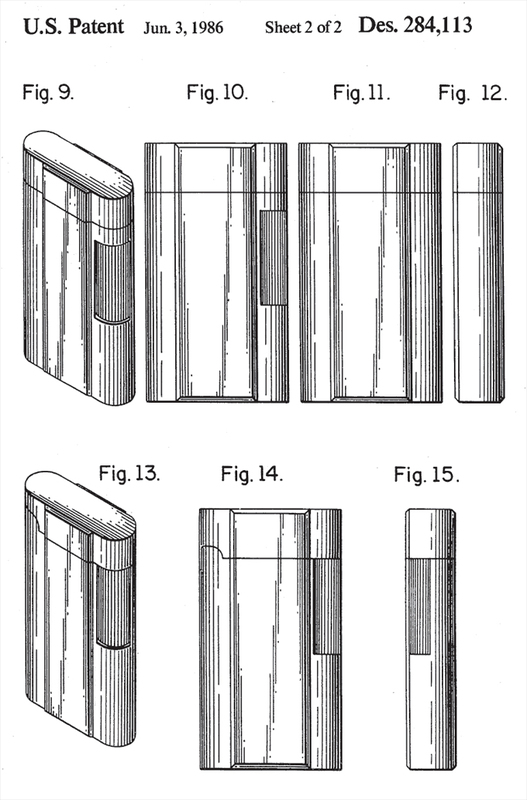 The first Zippo butane lighters were introduced in Sep 1985. 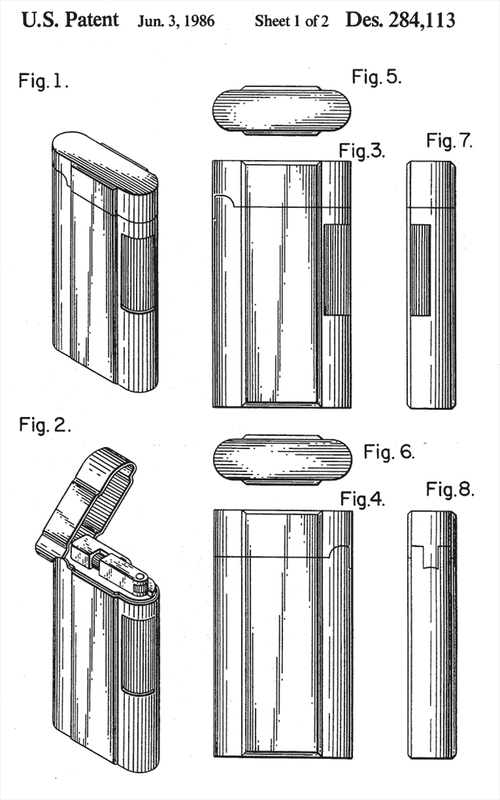 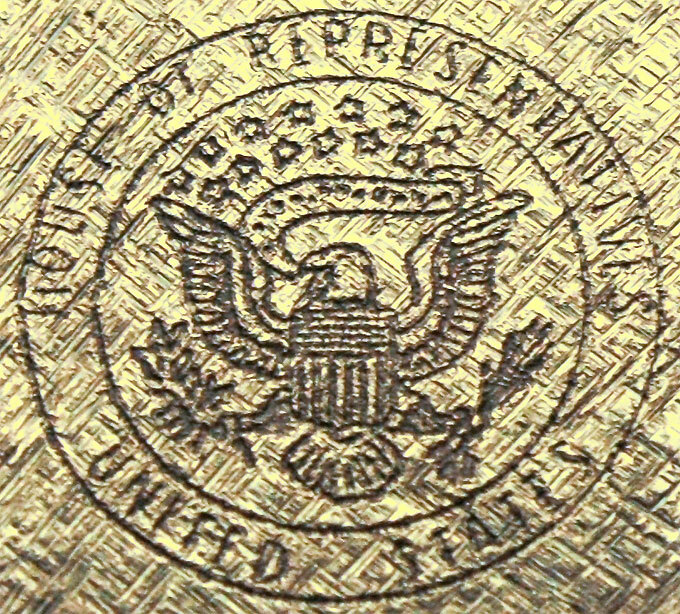 The patent Des. 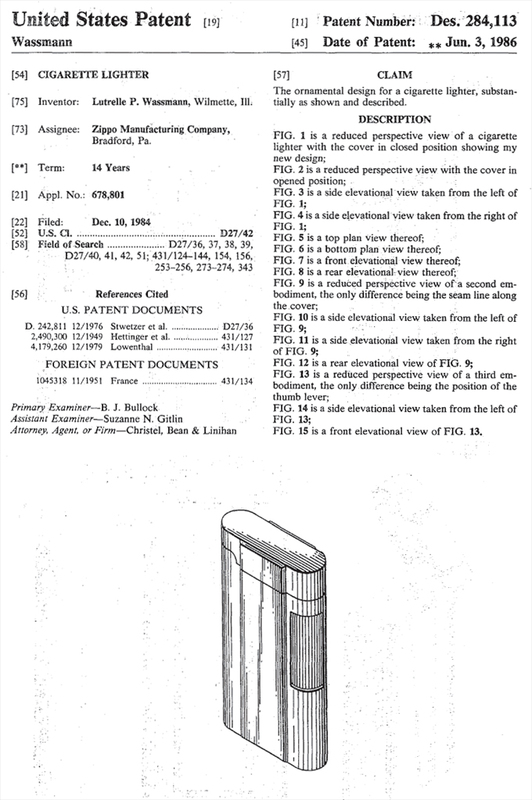 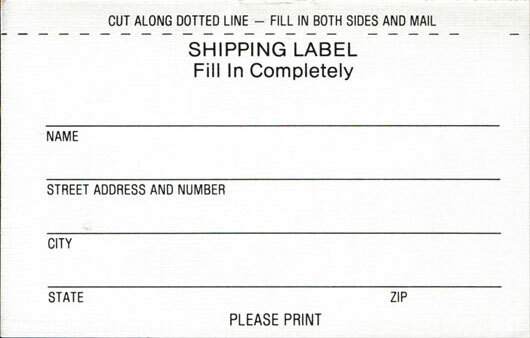 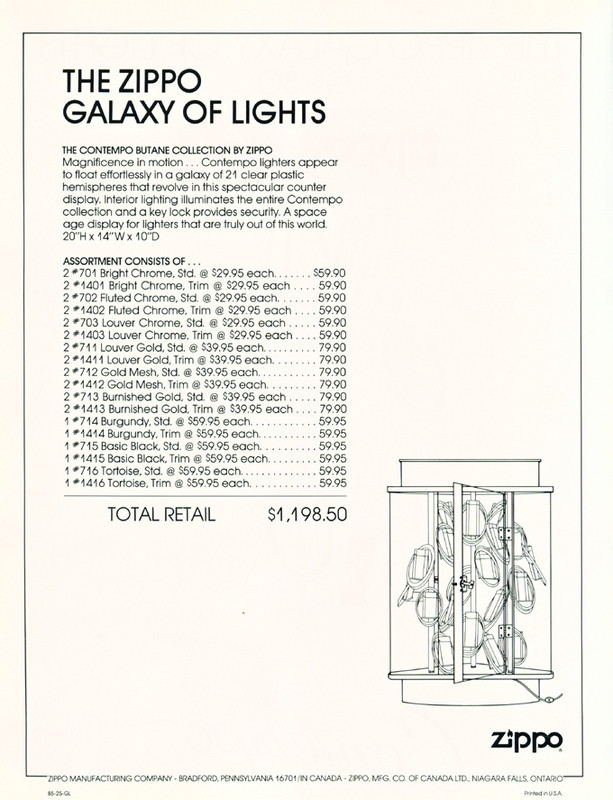 284,113 was filed Dec 10, 1984 and finally granted Jun 3, 1986 by the US patent office. 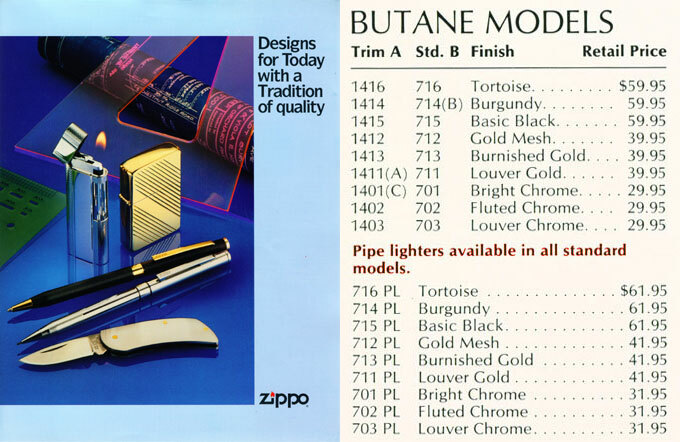 Eighteen models were available in the standard and trim sizes plus the standard sizes optionally available as pipe lighters. 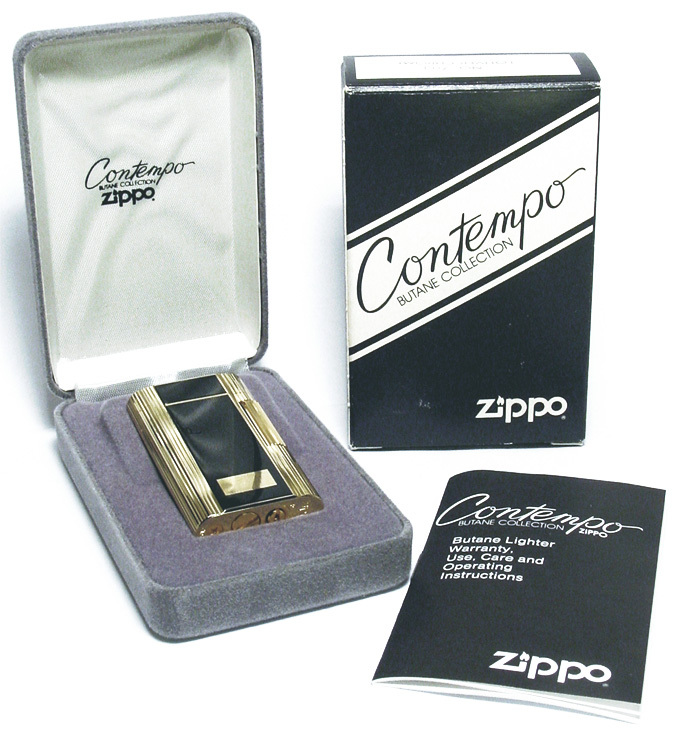 The Contempo is the only Zippo lighter that has Japan written on the bottom stamp. 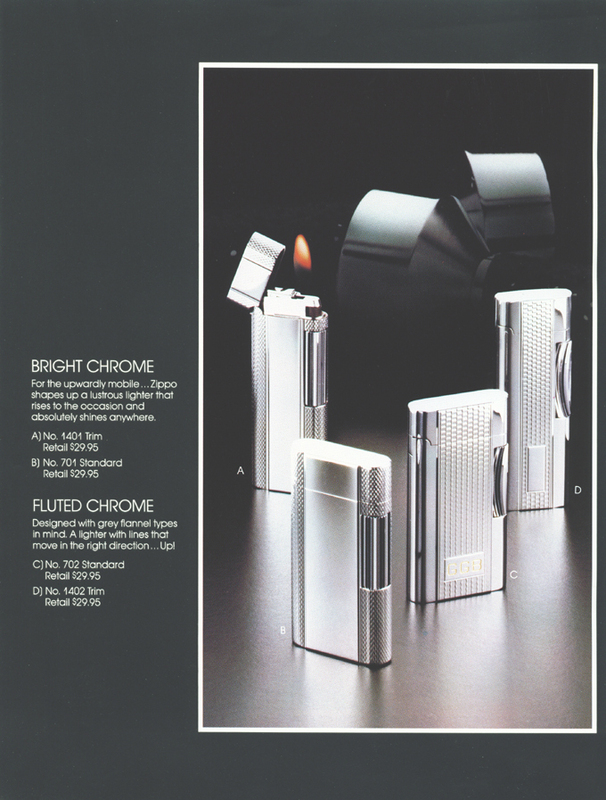 The component parts were produced in Japan while the final assembly was made in the U.S.A. 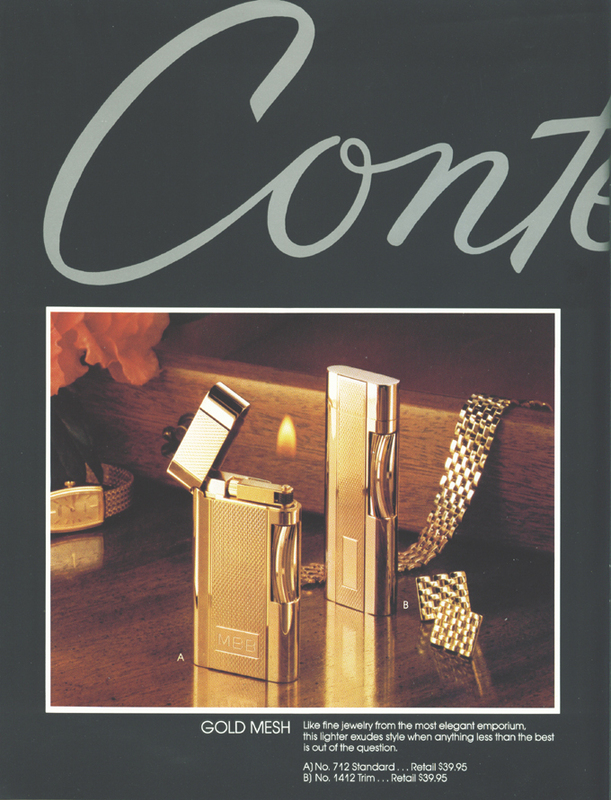 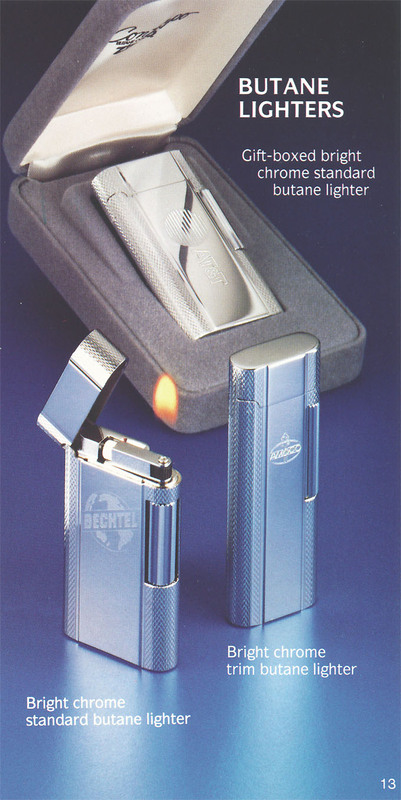 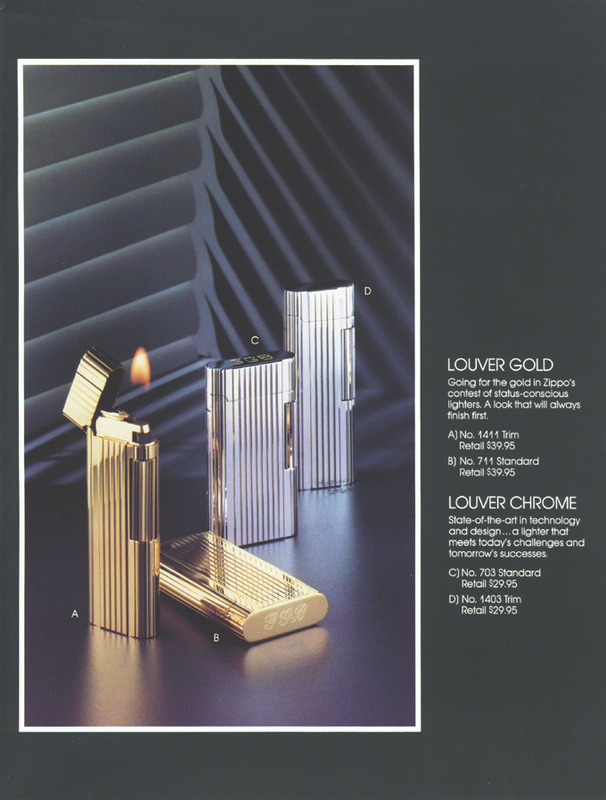 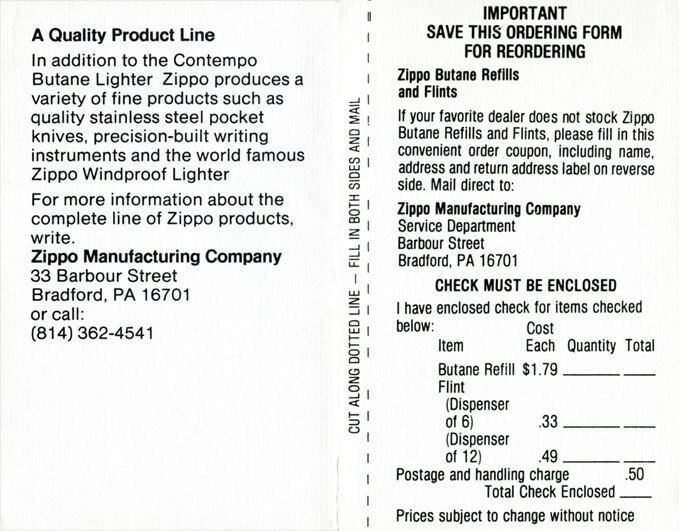 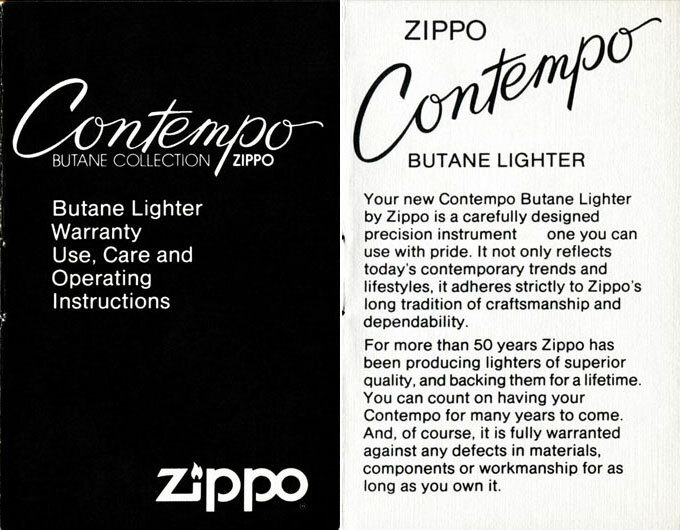 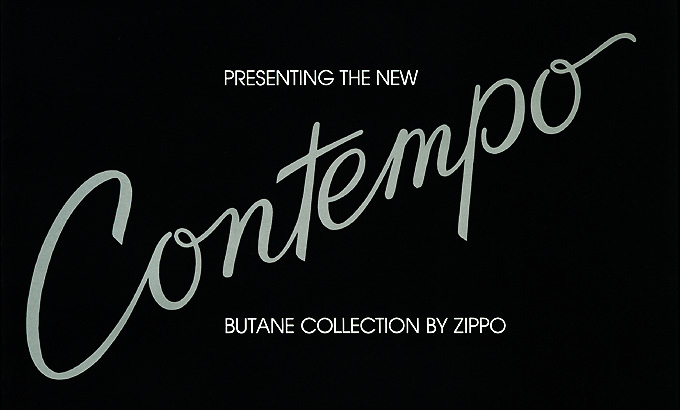 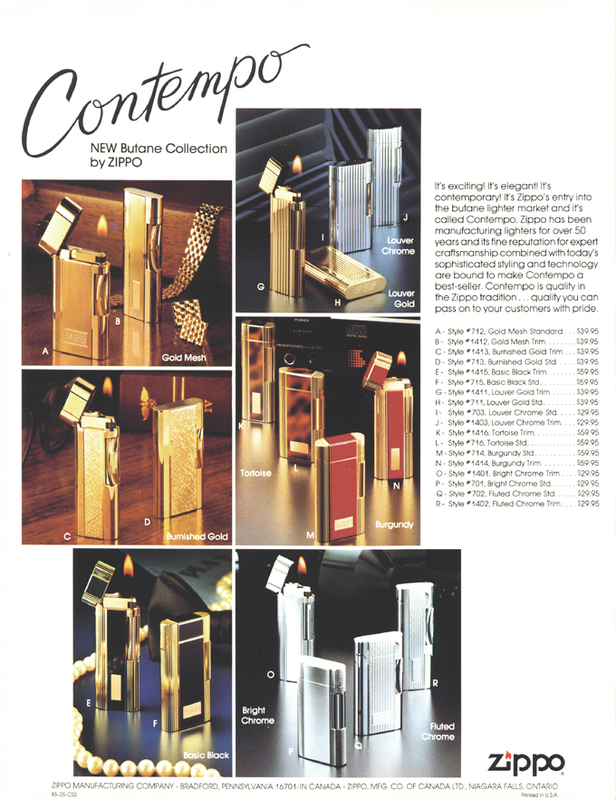 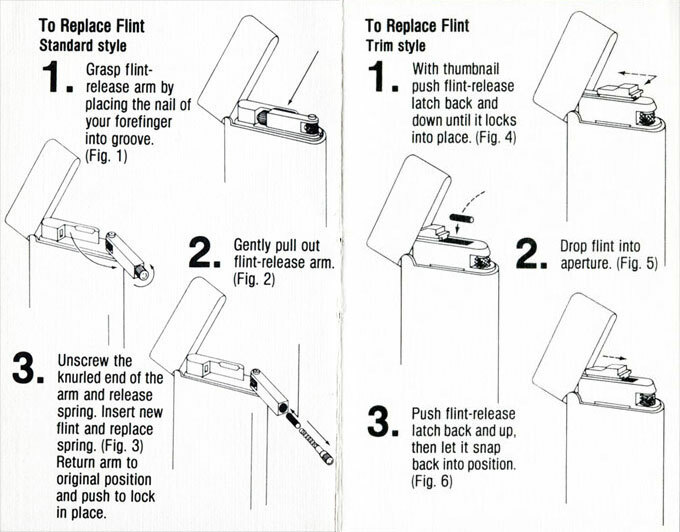 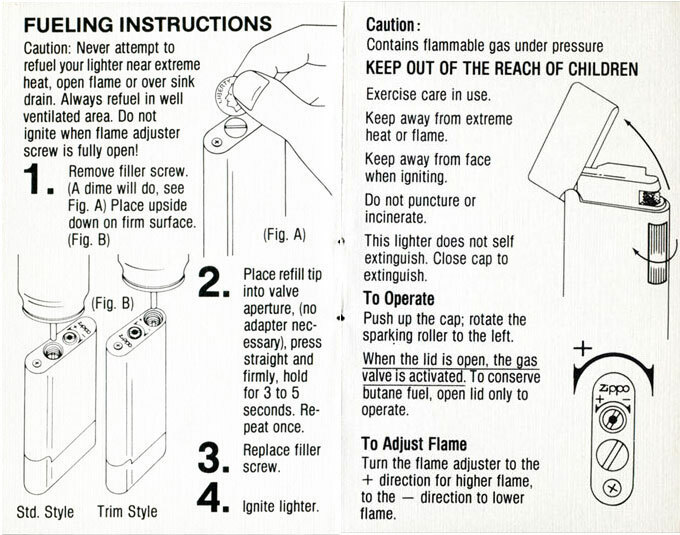 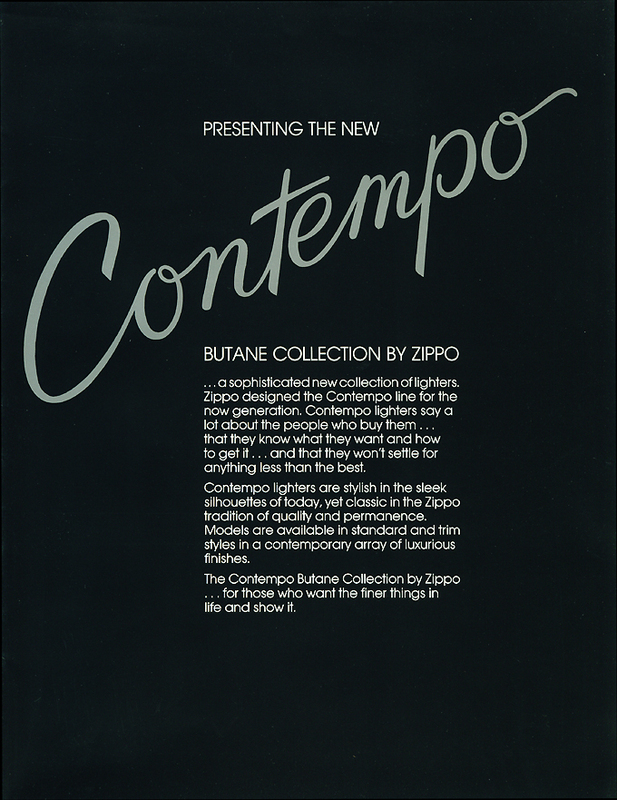 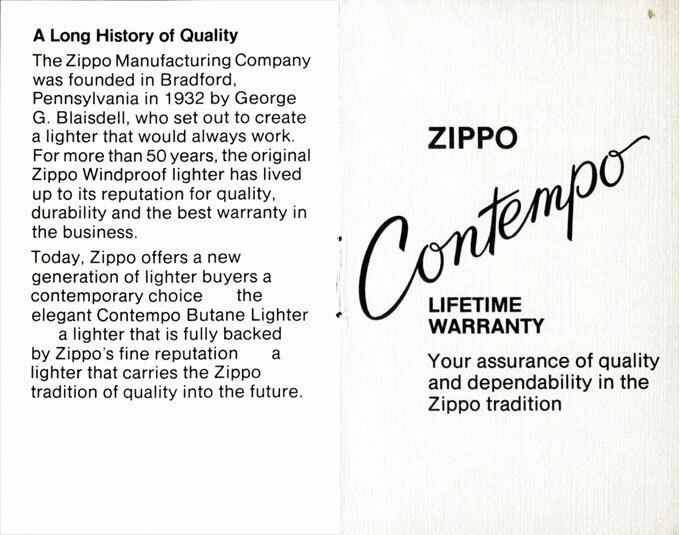 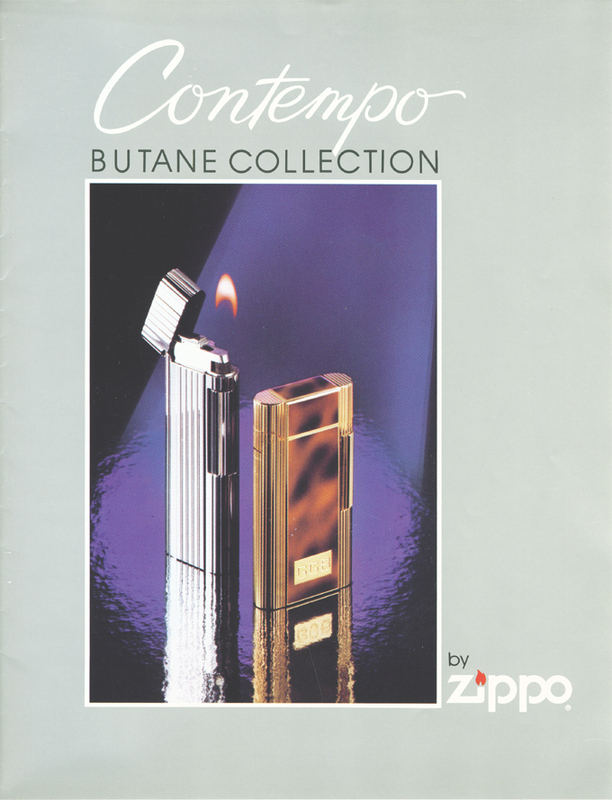 The Contempo lighter was discontinued in 1992.